The multidisciplinary competition, developed and coordinated by the Emory Global Health Institute and its Student Advisory Committee, includes graduate and undergraduate and professional school students from a variety of fields including business, engineering, law, medicine, nursing, public health, theology, the social sciences, and the humanities. Currently, Emory Global Health Case Competition hosts two annual competitions: an intramural competition for Emory students only and an international competition that includes the winning Emory team from the intramural competition and multidisciplinary guest university teams from around the world. Nearly 140 students from universities across the United States, as well as from Canada, Denmark and Australia, gathered in 24 teams at Emory University March 24-25 to compete in the 7th annual International Emory Global Health Case Competition – the largest and most enduring academic global health competition in the nation. Although the Emory Global Health Case Competition uses a similar format to a business school case competition, it is unique in requiring students to work in multidisciplinary teams to analyze and present a solution to a current issue in global health. This year's case focused on children's mental health needs in Monrovia, Liberia. 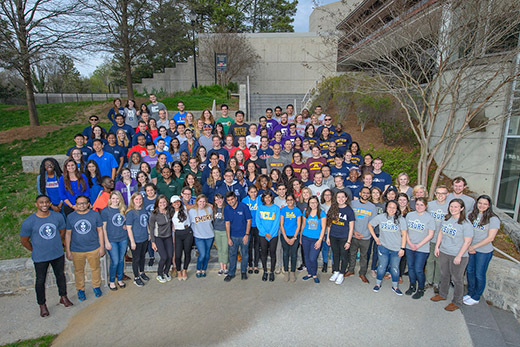 The multidisciplinary competition, developed and coordinated by the Emory Global Health Institute and its Student Advisory Committee, includes graduate and undergraduate and professional school students from a variety of fields including business, engineering, law, medicine, nursing, public health, theology, the social sciences, and the humanities. An external panel of judges evaluates the competition, and students receive awards and prizes. Winning teams this year were: First Place: University of Southern California; Second Place, University of Toronto; Third Place, University of Minnesota; Honorable Mention, State University of New York, Downstate; Participants' Choice Award, University of Toronto; Video Competition Winner, University of Michigan (the video competition was reserved for teams on the wait list). “Having attended the first Emory Global Health Case Competition in 2009, I was amazed to see how much this program has grown while maintaining its focus on trainee-inspired multidisciplinary approaches to global health challenges,” says Parminder Suchdev, associate director of the Emory Global Health Institute. Previous years' case competition teams have been charged with developing strategies for reorganizing the World Health Organization; developing potential strategies to reduce gun violence in Honduras, reducing severe childhood malnutrition in Ethiopia, childhood obesity in Mexico, and tobacco health burdens in Gujarat, India; developing program priorities for a refugee health agency in three east African countries; addressing social and health disparities in Sri Lanka; developing health reform plans for France; recommending global health investments for China, and prevention and management of obstetric fistula in India. Participating universities include: Emory University, Georgetown University, Medical University of South Carolina, Miami University of Ohio, Northwestern University, State University of New York/Downstate, Uniformed Services University of the Health Sciences, University of Alabama/Birmingham,, University of Arizona, University of California/Los Angeles, University of Colorado, University of Copenhagen, University of Florida, University of Kentucky, University of Melbourne, University of Minnesota, University of Notre Dame, University of Scranton, University of Southern California, University of Toronto, University of Virginia, Vanderbilt University, Yale University, and Yeshiva University.